When looking for the nearest plumbing supply in Broward County, don’t settle for anyone. Your plumbing supply store should give you equal access to a seemingly endless catalog of plumbing parts, fixtures, tools, and equipment plus expert knowledge. There are countless plumbing systems and scenarios that require just as many different solutions. Fortunately, we can help. 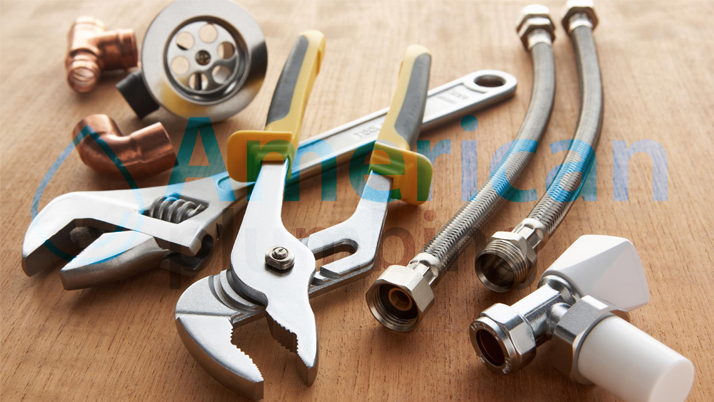 American Plumbing is a plumbing supply store in Sunrise FL with an immense collection of all the most important plumbing parts available. On top of that, our professional staff is highly knowledgeable in all things plumbing and can assist you in finding the best parts and methods for achieving your plumbing goals. Continue reading to find out how American Plumbing can help you or give us a call to speak with a friendly staff member directly. What makes American Plumbing the best choice in your nearest plumbing supply in Broward County is our full collection of all the highest quality plumbing parts and fixtures. We carry different parts and plumbing equipment from the most trusted plumbing manufacturers respected on the market. In fact, our collection of plumbing parts, fixtures, and tools go well into the thousands, ensuring the perfect part is available. And if we don’t, for whatever reason, have the part you need, we will be glad to help order it for you! We pride ourselves on being able to help out all level plumbing projects, big and small. This includes everything from the average joe DIY plumber to other local professional plumbers. Come into our plumbing supply store at 4361 W Sunrise Blvd, Plantation, FL 33313 and discover for yourself why we have become regarded as Broward County’s top plumbing supply store! We also provide our clients with a variety of professional plumbing services throughout the region. These include everything from general plumbing repairs to hot water heater installation, leak detection and repair, and many more! Our professional plumbers help staff our store, giving each client individualized assistance with a high level of commitment to the very best customer service. Contact us to schedule an appointment soon or visit us to learn why we are regarded as the best option for the nearest plumbing supply company in Broward County!